Each semester, UCA professor Amy Hawkins’ service-learning class, Cases and Campaigns, participates in a competitive senior capstone project. PRLS 4305 Public Relations Cases and Campaigns is the capstone course for all public relations majors at UCA. “Since 2005 when I began teaching the class, we have worked with a different nonprofit client each fall and spring semester, ranging from organizations that serve disadvantaged populations to those that focus on the fine arts,” said Hawkins. PR Cases and Campaigns is also a service-learning course in which students achieve the learning objectives of the course while simultaneously meeting real community needs. Students work in teams in a competitive agency model to develop comprehensive PR campaign proposals to raise awareness, change attitudes, and call target audiences to action. At the end of the semester teams each pitch their campaign proposal to the client who then selects a winning team. 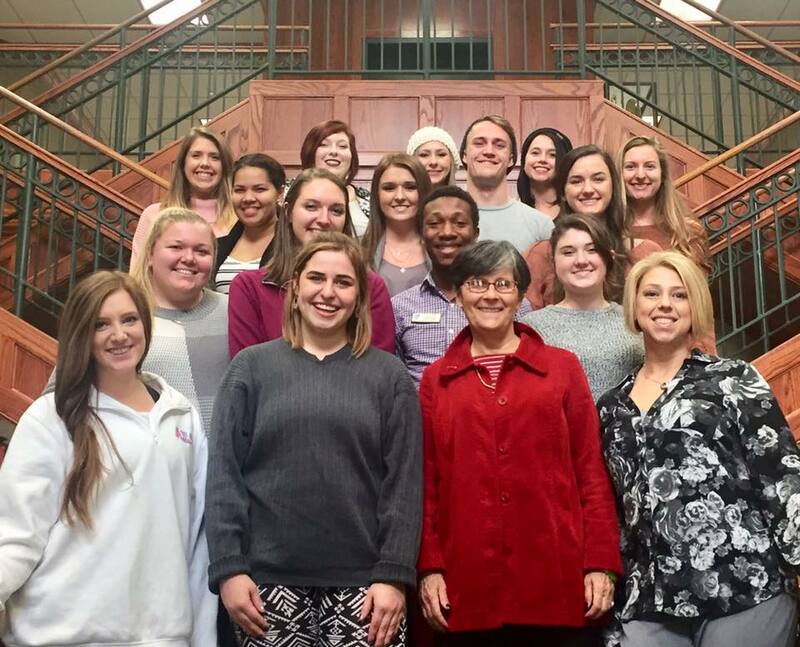 This semester four teams worked with the Arkansas Hunger Relief Alliance led by Executive Director Kathy Webb. Webb praised all four teams’ efforts, noting the caliber of work surpasses many graduate student projects she’s encountered over the past few years. For more information about the Arkansas Hunger Relief Alliance, visit their website.